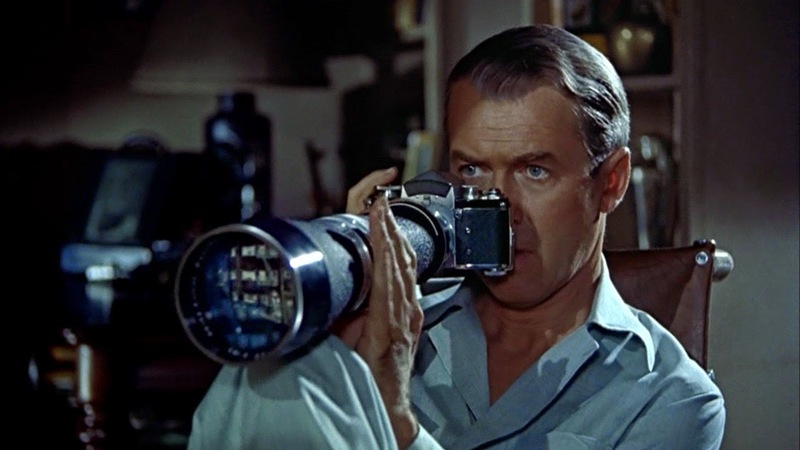 If you've never seen Rear Window as it was meant to be seen—not on your TV, not on your computer screen or your i-pad and certainly not on your dinky little phone, even if you do have the i-Phone 6—but on a big old-fashioned movie screen; listen up. Turner Classic Movies is bringing the Hitchcock classic to theaters nationwide for two days only; March 25th and March 27th, at 2pm and 7pm. 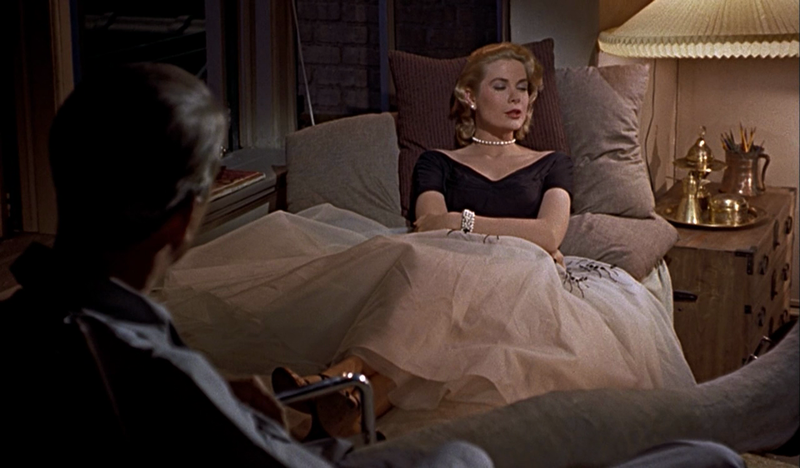 Grace Kelly—weren't we just talking about her co-starring opposite Cary Grant in To Catch a Thief?—co-stars opposite Jimmy Stewart this time round. She was so beautiful, and seemed to have such a charmed life, didn't she? The American beauty starred alongside some of the premier actors of their day; Cary Grant, Jimmy Stewart, Gary Cooper, Bing Crosby, Ray Milland, Sir Alec Guinness, and Frank Sinatra before she was swept off her feet by a real live prince, Prince Rainier of Monaco. 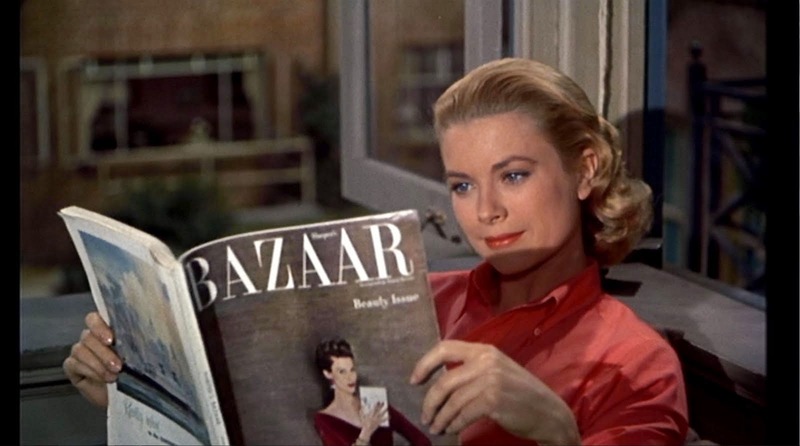 Except of course, her life wasn't so charmed; it was cut short when at the age of 52, Princess Grace of Monaco was killed in a horrific car accident in 1982. A tragedy but thanks to the magic of the movies, we have her elegant spirit frozen forever in celluloid; at just 25 Kelly was absolutely flawless in this fantastic film. 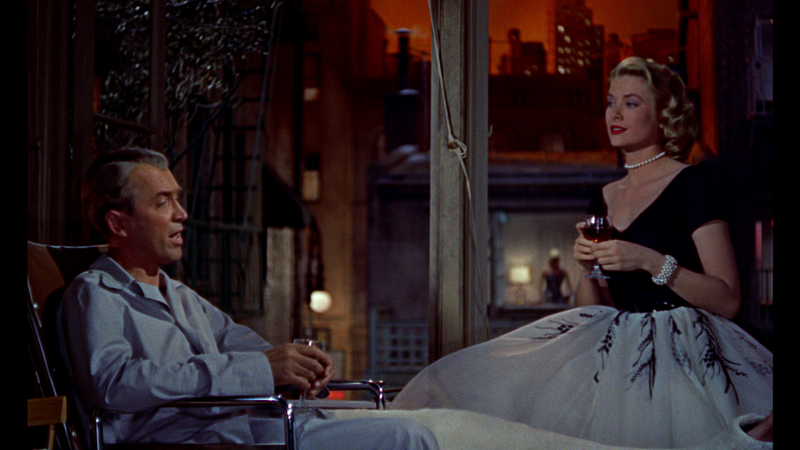 I suspect that like me, a lot of you haven't seen Rear Window on the big screen. I can't wait to get a really good look at what Jimmy sees from his own rear window. All the better to see that little doggy in the basket and the expression on Raymond Burr's face. Robert Burks, who won Best Cinematography for Alfred Hitchcock's To Catch a Thief the following year, was nominated for this one as well, as was Hitchcock himself, along with Loren L. Ryder for Sound and John Michael Hayes for Best Writing. 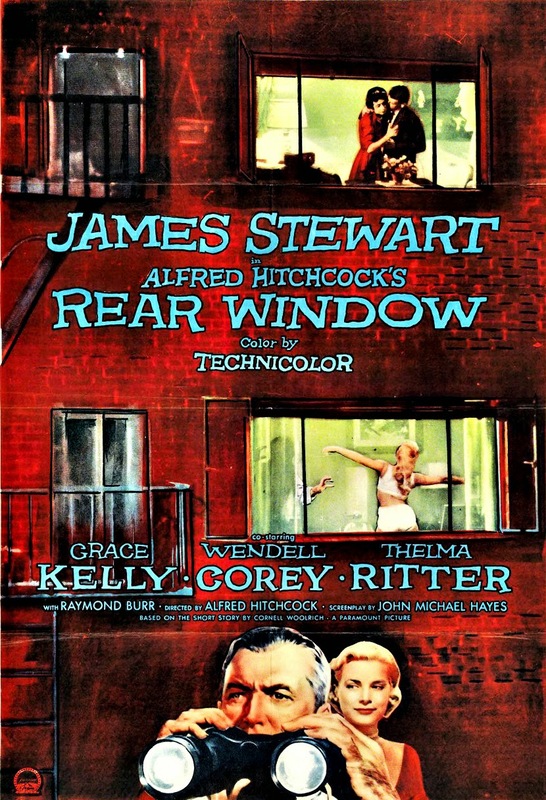 Released in 1954, Rear Window was actually an adaptation of a short story by Cornell Woolrich but they didn't have a Best Adapted vs Best Original Screenplay category in 1954. 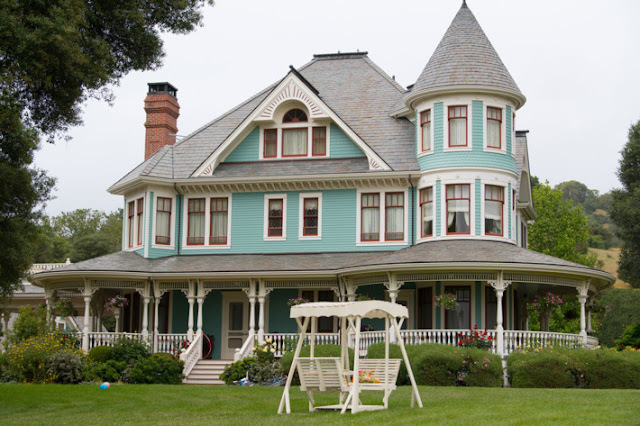 The nationwide special event includes a recorded introduction by TCM host Ben Mankiewiz. 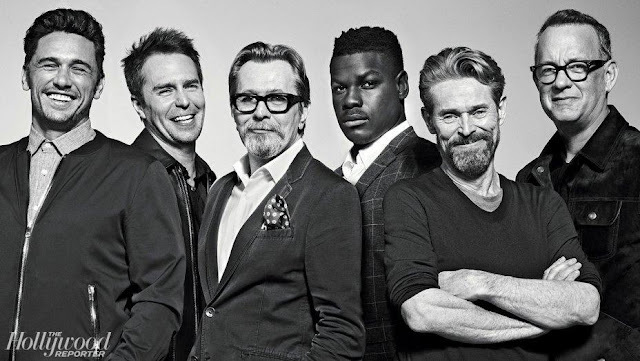 Tickets are available at FathomEvents.Com Can't make the date? 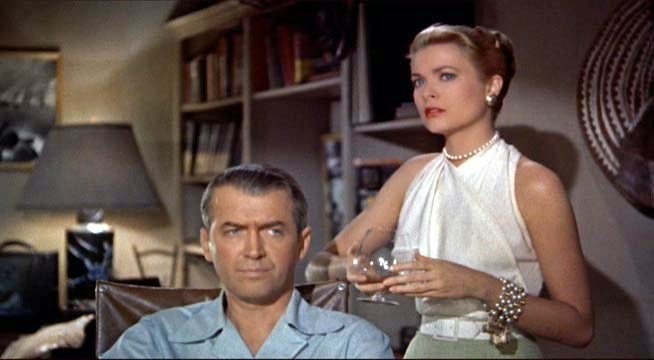 No worry, Rear Window is now available on BluRay, DVD and to stream on Amazon Instant on your teeny weeny device if you must.